We might have played two home games recently, against Tottenham and Stoke, but tomorrow’s trip to Everton is our sixth away game in the last eight played. That’s been the consequence of having switched the fixtures against Everton’s rivals Liverpool that saw us visit Anfield just four weeks ago. I think most Burnley fans would right now take another performance similar to the one on the other side of Stanley Park. Yes, we lost the game, but it was one of our best away performances of the season and we didn’t deserve the 2-1 defeat we came home with. Liverpool are above Everton in the league but the Toffees’ home form recently has been outstanding and, make no mistake, this will be a tough game for us. I read somewhere this week that our record at Goodison is poor, that we haven’t won there now for over 43 years. That’s brilliant! In that time we’ve played there only twice, once in each of our two previous seasons in the Premier League. That last win came in January 1976 when we won 3-2 with goals from Peter Noble, Brian Flynn and Derek Scott. For Flynn and Scott they were first league goals and for Joe Brown they were our first two points for him in his third game as manager. Looking on the positive side, having beaten them earlier in the season at home, a win tomorrow would give us our first double against Everton since our title winning season of 1959/60. Vokes returned to the side for the home win against Stoke but was back on the bench at Middlesbrough, coming on during the second half for Andre Gray. I suspect it will be bench duty initially again tomorrow when Sean Dyche could name the same team. He’s still without Johann Berg Gudmundsson but the likelihood is he’ll be ready for the Manchester United game next week. The good news is that Steven Defour returns and I think he could be on the bench in place of Jon Flanagan. Our team could be: Tom Heaton, Matt Lowton, Michael Keane, Ben Mee, Stephen Ward, George Boyd, Jeff Hendrick, Joey Barton, Robbie Brady, Ashley Barnes, Andre Gray. Subs: Nick Pope, James Tarkowski, Ashley Westwood, Scott Arfield, Steven Defour, Sam Vokes, Dan Agyei. Everton currently sit seventh in the league, behind Arsenal on goal difference. They are currently seven points behind fourth place Manchester City and therefore very unlikely to get a Champions League place but it has still been a very good first season for them under Ronald Koeman having ended last season in 11th place with seven points less than their current total this season with six games remaining. 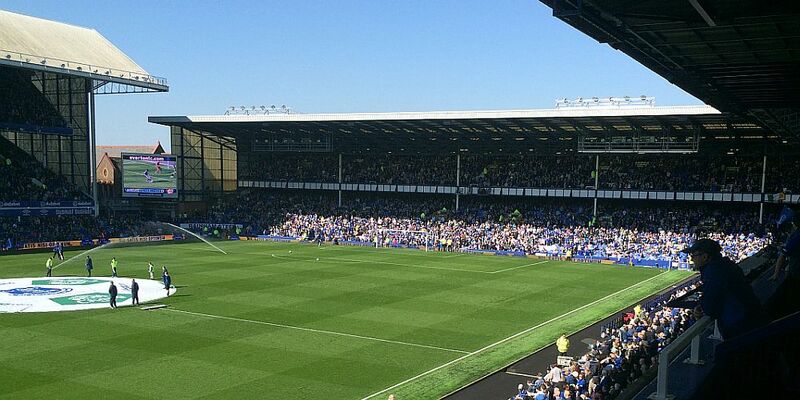 Away from Goodison they’ve won just four times, but at home they’ve been all but unstoppable. Only Liverpool have won there in a season that’s seen them win 11 of 16 home games and scored 38 home goals, a total bettered only by Chelsea and Spurs (both 39) and Liverpool (41). Since losing the derby to Liverpool, they’ve won seven successive home games in which they’ve scored a staggering 26 goals, just two short of four per game. Twelve different players have scored in that run but only one has scored more than twice so it is not too difficult to see from where the major threat comes. Romelu Lukaku has scored 12 goals in that run; he’s scored in each of their last eight home games and he’s scored a total of 23 Premier League goals this season which is four more than any other player in the league. Sean Dyche spoke about him this week, how he tried to sign him for Watford, but he also made it clear this is no one man team we are playing. They are certainly playing some outstanding football right now and there is absolutely no doubt that this could prove to be a very tough afternoon for us. They beat Leicester 4-2 this week, and having trailed 4-2 early in the game. They looked impressive too. They’ve even got the boost of having Ashley Williams back; he returns to the side after completing a suspension. Their team last week against Leicester was: Joel Robles, Mason Holgate, Phil Jagielka, Matthew Pennington, Leighton Baines, Morgan Schneiderlin, Idrissa Gueye, Tom Davies, Ross Barkley, Kevin Mirallas, Romelu Lukaku. Subs: Maarten Stekelenburg, Gareth Barry, Enner Valencia, Dominic Calvert-Lewin, Ademola Lookman, Jonjoe Kenny, Joe Williams. Things were beginning to look difficult for Burnley. With just six games remaining, as is the case tomorrow, we hadn’t scored a goal in four games in which we’d picked up just one point. Things didn’t improve. We were beaten 1-0 and dropped to the bottom of the league for the first time since November. We could have no complaints overall, but we weren’t helped by a shocker of a homer performance from referee Mike Jones. He wrongly gave Everton a penalty which Tom Heaton saved from Ross Barkley, any offence clearly occurring outside of the box, he sent off Ashley Barnes just before half time for two yellows but incredibly allowed Kevin Mirallas to stay on after a shocker of a challenge on George Boyd. The only goal came soon after the penalty save. It was a bit unfortunate but Mirallas scored after the ball dropped nicely for him. We might have had a penalty for handball and very definitely should have had one for a foul on Scott Arfield but we trailed 1-0 at half time having just lost Barnes. The Mirallas foul came five minutes into the second half. Things might have been different had we had half a game at 10 v 10 but it was not to be. Overall, we couldn’t have too many complaints at the result, just the dreadful refereeing that made the afternoon even more difficult for us. Everton: Tim Howard, Seamus Coleman, John Stones, Phil Jagielka, Leighton Baines, Gareth Barry, Aaron Lennon, James McCarthy (Muhamed Besic 88), Ross Barkley, Kevin Mirallas (Romelu Lukaku 61), Arouna Koné (Steven Naismith 80). Subs not used: Joel Robles, Luke Garbutt, Antolin Alcaraz, Aiden McGeady. Burnley: Tom Heaton, Kieran Trippier, Michael Duff, Jason Shackell, Ben Mee, George Boyd (Ross Wallace 84), Scott Arfield, David Jones (Matt Taylor 84), Ashley Barnes, Danny Ings, Sam Vokes (Lukas Jutkiewicz 59). Subs not used: Matt Gilks, Michael Keane, Stephen Ward, Michael Kightly.